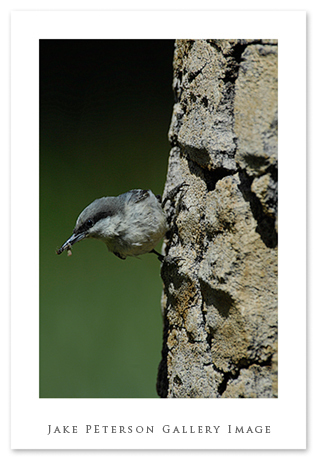 This little guy happens to be a Pygmy Nuthatch. A friendly and rather common bird here at the house. This shot was taken over at a local Aspen Grove where they have a cavity in this old stump. You can see him here bringing in a grub of some kind. His cavity is that depression right before his feet.